Student prank or post-capitalist consumer society critique ? 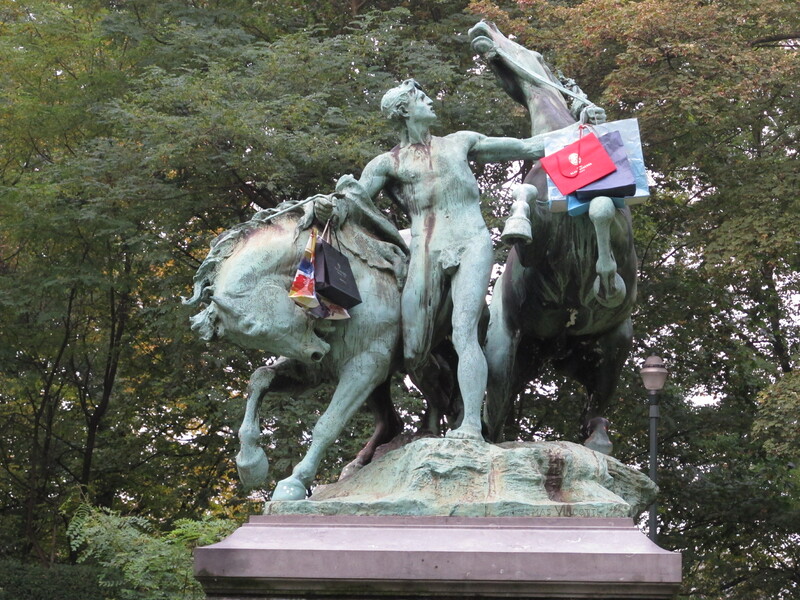 Sculptures by Thomas Vinçotte are more often targeted by interventionists actions,such as his sculpture of Leopold II. This sculpture of a Horse taming boy is less obvious in its connection to representing Belgiums colonial history.